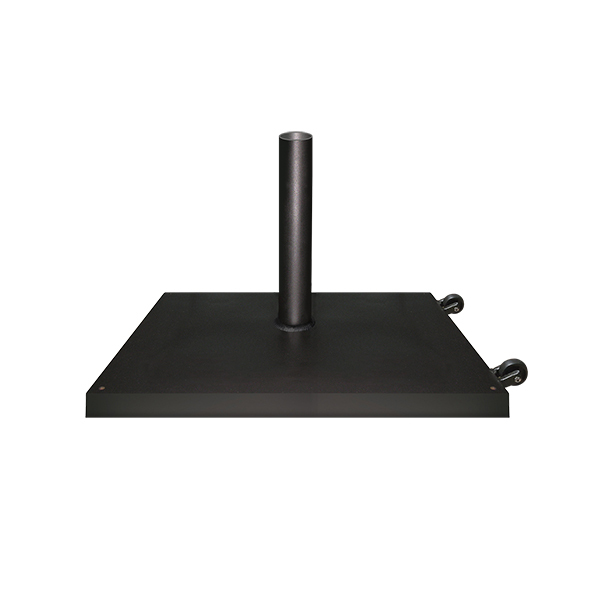 This Fiberbuilt 24 Inch Square Galvanized Steel Umbrella Base with Wheels is available in a range of weights, from 85 lbs to 20 lbs. The welded base sleeve, attached to the low profile steel base, helps to enhance the strength and performance. Attractive, galvanized and durable powder coated finishes are available in four finish colors, including champagne bronze, black, silver, and white. The range is supported with the accommodating wheels, provided with the model.